Modern master Mackenzie Thorpe is celebrating 30 years at the forefront of contemporary art in the UK and beyond. 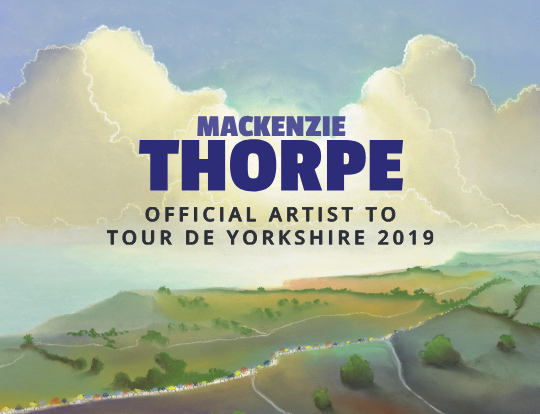 Named as the official artist to the Tour de Yorkshire 2019, Mackenzie is releasing two mesmerising images to commemorate this world famous event. We will be launching his entire spring collection on April 18th but we are delighted to offer you the chance to pre-order these two mesmerising images today.